This bottle of Unicorn Black from the Robinsons Brewery had been sitting in a cupboard for yonks, but yesterday I decided to open it and have it with lunch. It is nice and malty on the nose and on the palate there are malty dark chocolate notes withs hints of caramel. A decent beer. 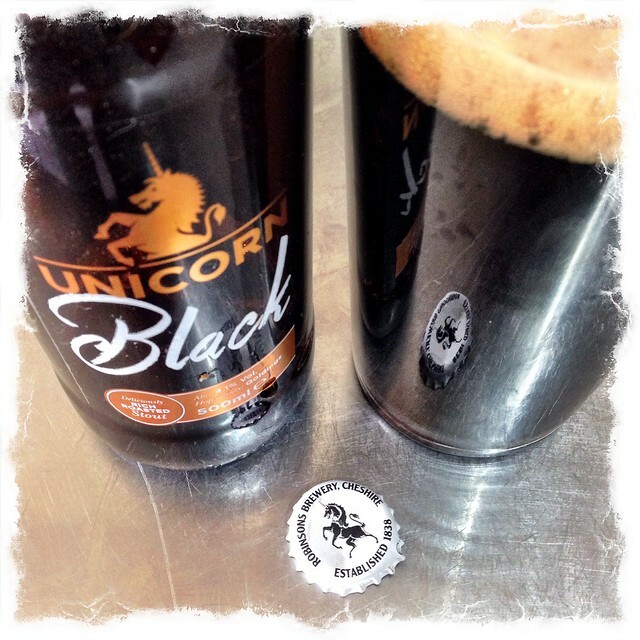 This entry was posted in Beer Adventures and tagged Beer Review, Robinsons Brewery, Unicorn Black on March 1, 2016 by Richard.